Here are pictures of our pets! As you’ll see, these are all rodents, and it’s really my boyfriend’s fault that I got into them. Odds are very good that in five years, most of these little cuties will be gone, but I intend to cherish the time we have with them all the more. I don’t want to forget even those animals that died very quickly. Despite their short lives, there are quite a lot of individual personalities among rodents. All of these pictures were taken this week. This is the one we’ve had longest. 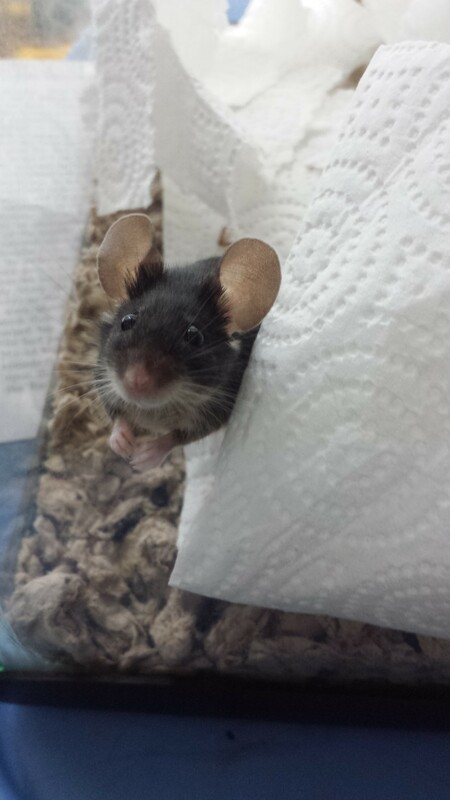 She’s mean to other mouseys and has giant ears. Cute, though! 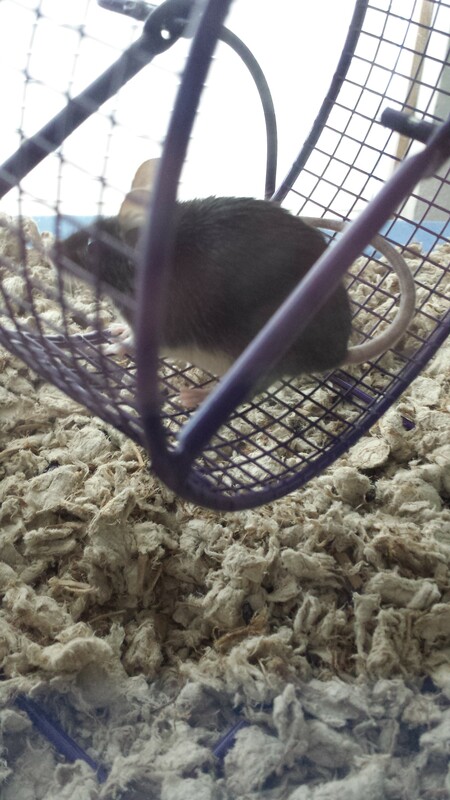 This is mousey on her wheel. She poops on me pretty much every time I handle her, even when we picked her up in the pet store. 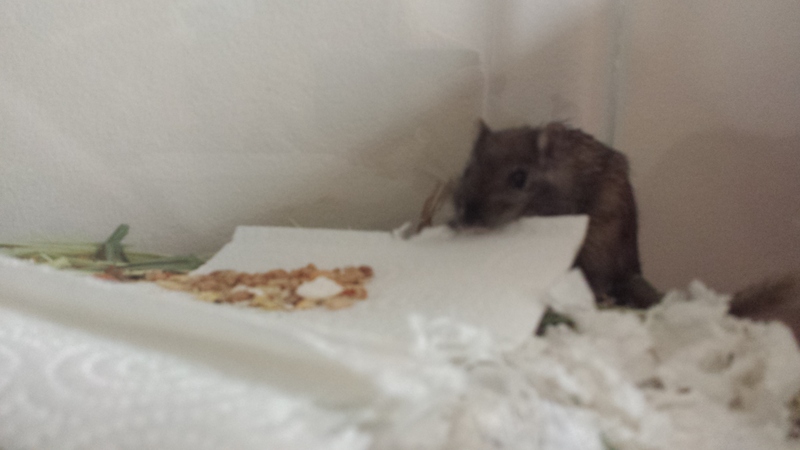 Here’s the gray gerbil. 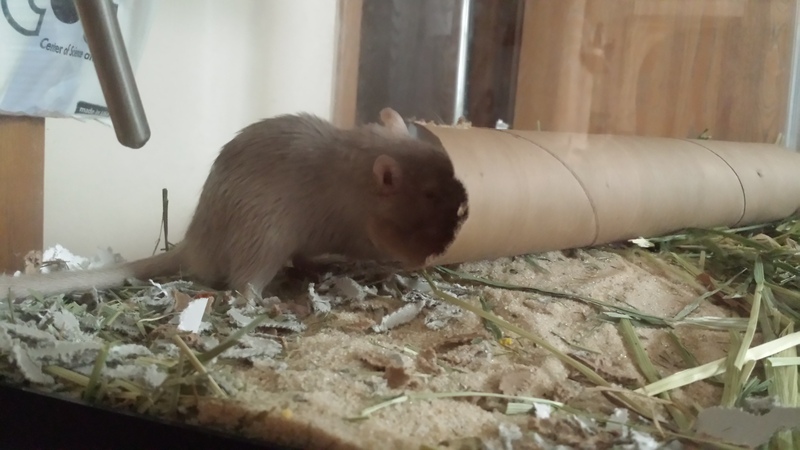 He’s mean to other gerbils and destroys cardboard. He’s also the one we found the mites on, poor thing. 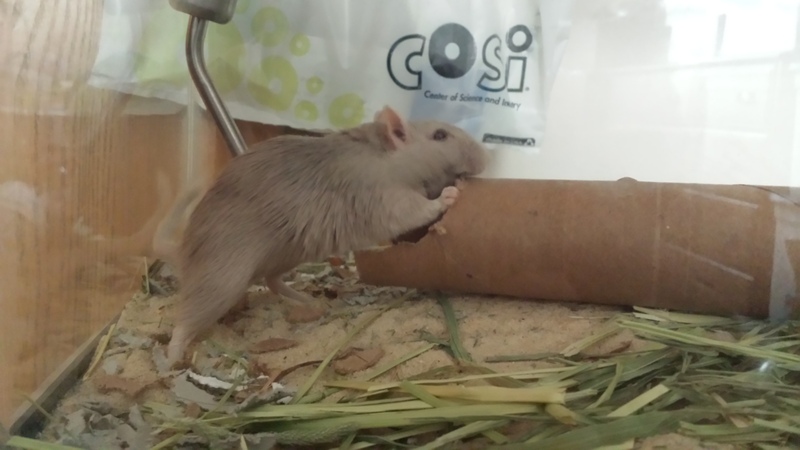 That tube disappeared in about an hour, tops, and he’d already destroyed a toilet paper roll that day. He has red eyes, but you can’t really tell from these pictures. 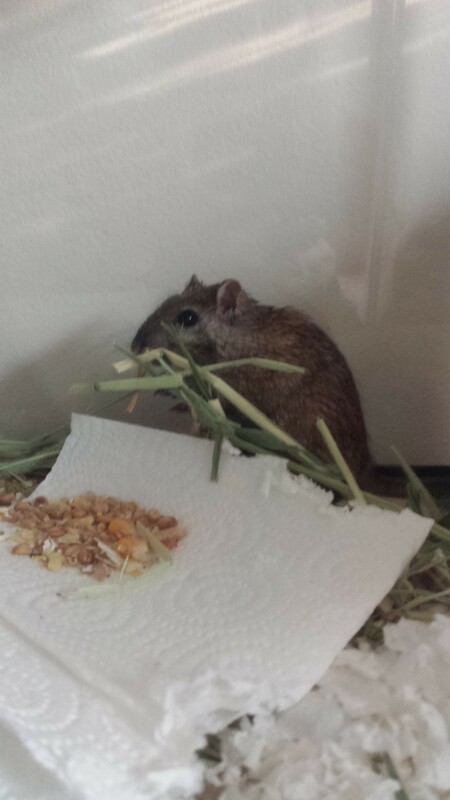 Brown gerbil is making a nest out of paper towels. He likes to do that. He also likes to chew hay sometimes. This gerbil gets the wheel because he likes to run more than the gray. Here’s little hamster man! He’s quite a cutie, too. 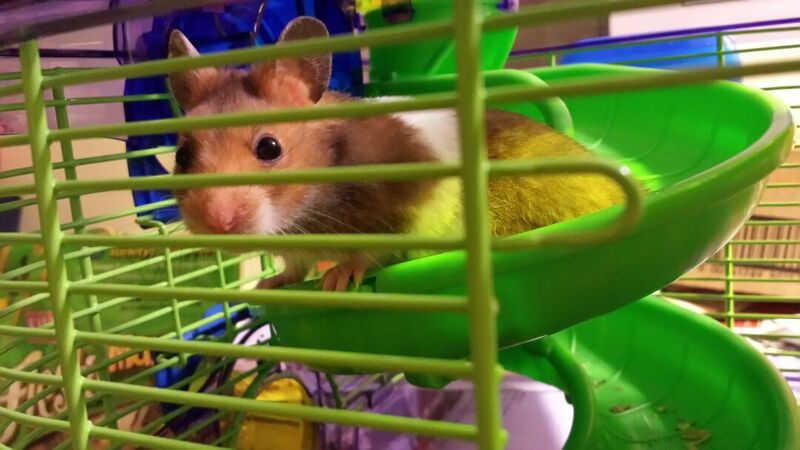 I like his coloring; compared to the others, his coat is quite unusual, but it’s normal for a hamster. A much worse picture of the hamster, but he’s got his cheeks full! …Of something. 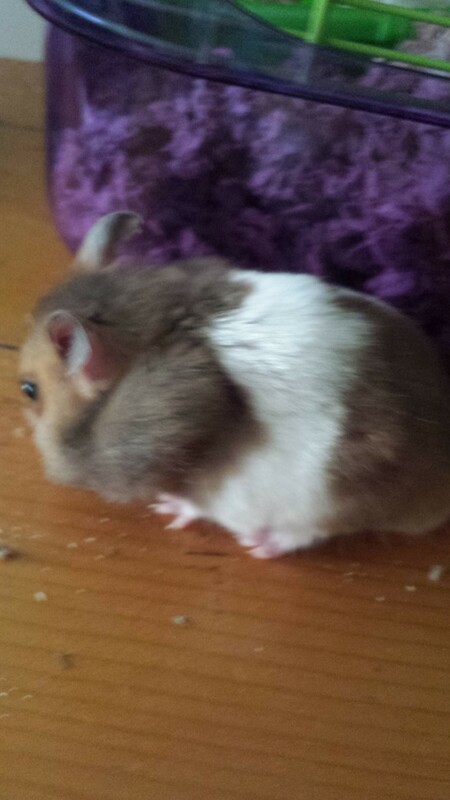 Hamsters are fatties. 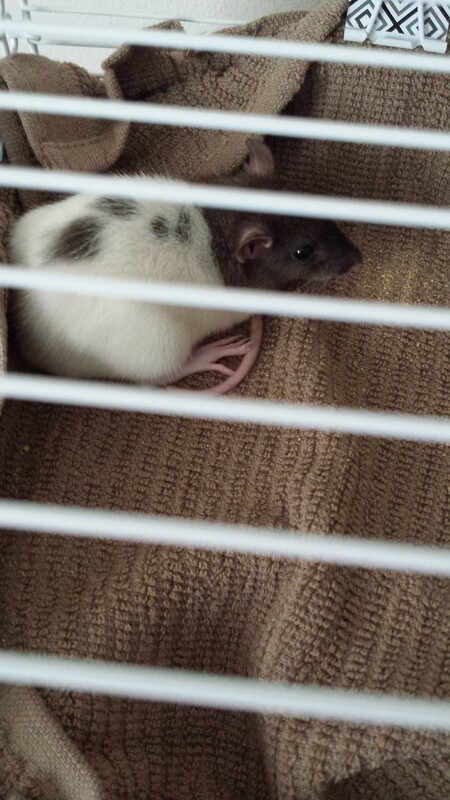 This is the rat whose coloring I prefer, but she is very shy of me. I was trying to surprise the boyfriend with new friends and it wasn’t easy to get her to go to her new home. I mishandled her a little bit, I’m afraid, but she doesn’t appear to be hurt. I hope we’ll be friends someday! 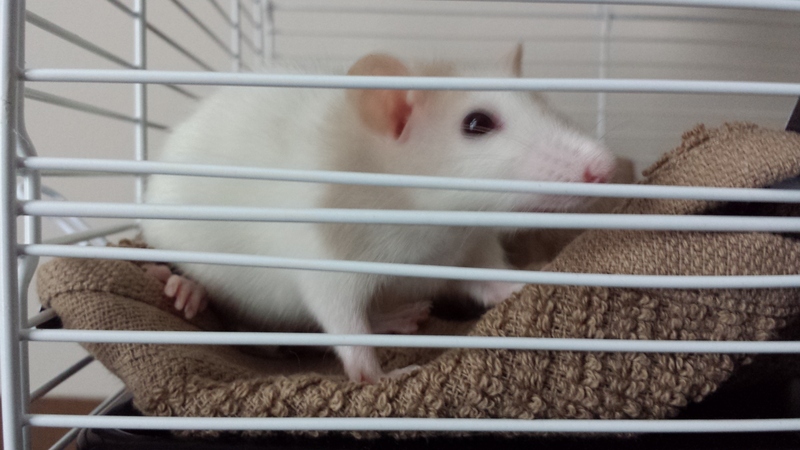 I’ll give you treats. This is her sister. 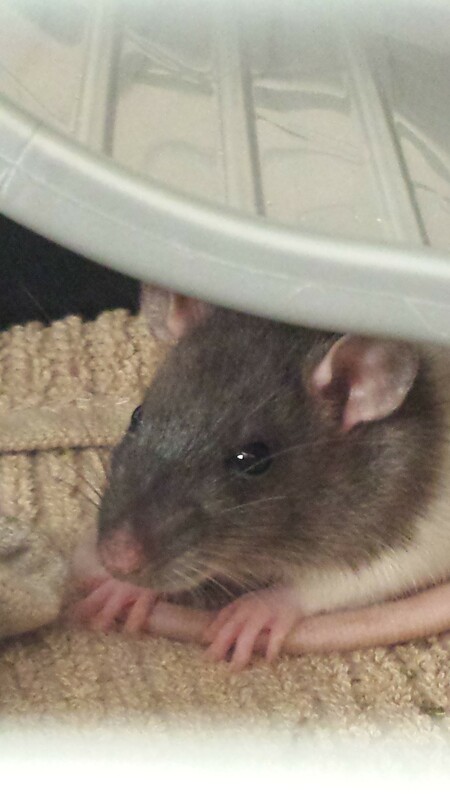 She’s a lot more curious and has the red eyes many light colored rodents have. 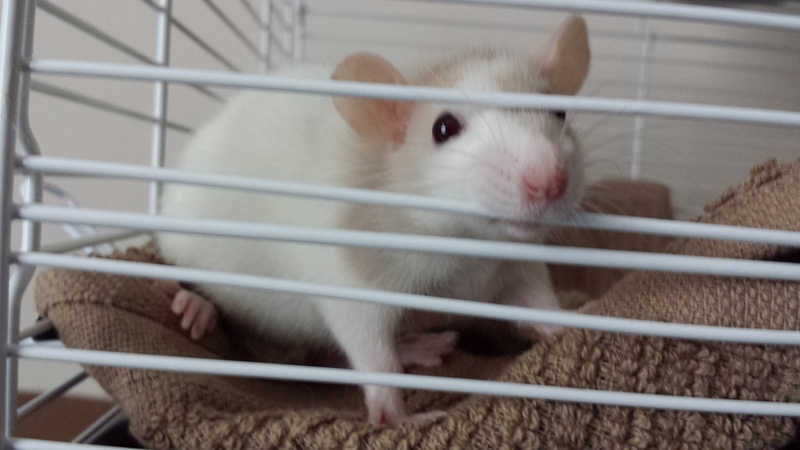 She’s got a cute face! That’s all our pets right now! Rodents tend to grow on a person. Rats especially freaked me out at first.